Can you patent a cocktail? Just the other day I saw an article with the following title: ““Yes, you can patent a cocktail”. 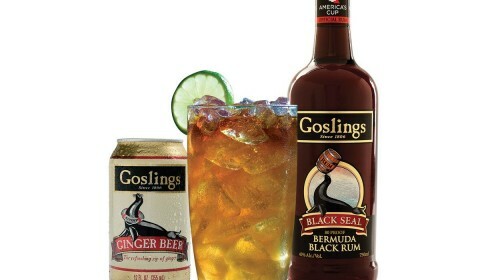 The article warned that bars may be sued for calling their cocktails “Dark ‘N’ Stormy” because Gosling, a rum manufacturer, trademarked the name Dark ‘N’ Stormy” for a mixture whose ingredients include Gosling’s Black Seal rum and Ginger Beer, with a wedge of lime. As the author rightfully pointed out, the trademark protects the name of a cocktail, not its ingredients; therefore Gosling’s can not prevent bars from mixing an alternative rum with ginger beer. Just last year, Gosling sued Pernod Ricard USA, LLC alleging that Pernod’s use of “Dark ‘N’ Stormy” and “Black Stormy” in recipes and advertising containing Pernod’s Malibu line of rums infringed several of Gosling’s DARK ‘N STORMY registered trademarks (Gosling Brothers Ltd. et al. v. Pernod Ricard USA, LLC. 1995). Therefore, it was obvious that the inclusion of the word “patent” in the title was an honest mistake, as the author was discussing trademarks. Many people often make that mistake, as they are unable to distinguish between the various forms of intellectual property (IP). I have lost count of the number of times that I have heard the following phrases: “I would like to patent my company’s logo”; or “Our software code is trademarked”; or “We need to copyright our idea for our new medical device”. IP can be thought of as legal protection for creations of the mind, and owners of such creations are granted certain exclusive rights under the law, if they take the appropriate steps to protect that property. Generally, intellectual property falls into four categories – trademarks, copyrights, patents and trade secrets. Other forms of IP exist, such as trade dress, integrated circuits topographies (mask works), domain names, unfair competition, and publicity rights. A patent is a limited right granted by the government to an inventor, to stop others from making, using or selling their invention for a limited time period. It is important to note that a patent does not give its owner the right to practice the invention. Thus, making, using, selling, offering for sale, and importing a patented invention can be blocked by other patents. As such, it is up to the patent owner to monitor misuse and to enforce their rights via an infringement action where misuse is found. There are 3 types of patents: utility, design and plant. A utility patent is the most common type, and it covers any process, machine, article of manufacture, or composition of matter, or any new and useful improvements thereof. To qualify for a utility patent, the invention must be novel, non-obvious, and useful. Examples include pharmaceuticals, genetically engineered seeds, 3D printing systems, self-driving vehicles, fact checking system for newsrooms, wireless charging for electronic devices, cryptographic schemes, compression garments, smart running shoes, farm implements, and so forth. As a further example, a typical smartphone uses 100+ utility patents related to CDMA/4G, Wi-Fi, Bluetooth, video coding, audio coding, built-in apps (e.g. maps, location services, etc. ), touch-displays, processors, battery and power functions. A utility patent lasts for 20 years, and after the patent expires the invention may be used freely by anyone. A design patent (or an industrial design registration) protects the features of a shape, configuration, pattern or ornament applied to an article by any industrial process. The difference between a design patent and a utility patent, is that a utility patent protects the functional aspects of an invention i.e. the way an article is used or works. 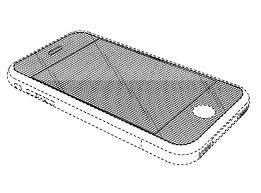 while a design patent protects new nonfunctional designs that appeal to the eye i.e. the way an article looks. A design patent only protects the appearance of the article and not the structural or utilitarian features. An article may be protected both by a design patent and a utility patent. Examples include, iPhone graphical user interface (GUI), icons, Oculus Rift headset, LEGO pieces, and Herman Miller’s famous Aeron chair. 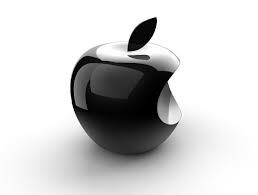 To underscore the importance of design patents, in 2015 Samsung Electronics was order to pay Apple $725 million in damages for infringing patented designs of the iPhone. 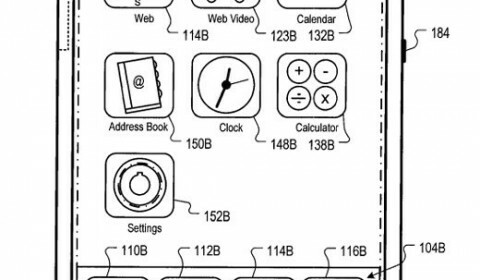 The patents at issue are D618,677 (a black rectangle with rounded corners), D593,087 (with bezel on surrounding rim), and D604,305 (a colorful grid of 16 icons.) Samsung appealed that verdict, and the case will be heard in the US Supreme Court in June 2017. A plant patent (plant breeders’ rights) protects any new variety of asexually reproduced plants, other than a tuber propagated plant or a plant found in an uncultivated state. Asexual reproduction means that the plant is reproduced by means other than seeds, usually accomplished by cutting or grafting of the plant. Examples include a new color of climbing rose or a new variety of apple. A plant patent can only be infringed when the infringing plant has the same genetics as the patented plant. A trademark is used in business as an indicator of the source of the goods or services offered to consumers, and therefore distinguishes a business’ goods or services from those of others. It is usually a word, short phrase, slogan, symbol, design or combination thereof. However, a product’s shape or its packaging, or even a sound, can be a trademark. Trademarks help to prevent consumer confusion regarding goods or services they buy, and helps companies protect their goodwill. A trademark allows consumers to quickly, easily, and confidently identify the source of the good or service, and also be assured that the good or service is of a certain quality they have come to expect. For example, the Starbucks mermaid logo is for coffee, BIG MAC is a word mark hamburgers, JUST DO IT is a slogan for athletic wear, and VISA is a service mark for credit card services. A trademark registration can last forever, as long as it still being used, and must be renewed every 15 years (in Canada), and every 10 years in the US. For companies, copyright protects the company’s publications and written materials, such as product brochures, instruction and maintenance manuals, and any form of advertising or promotional materials, such as television advertising, radio advertising, and internet advertisements. 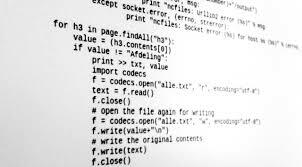 Copyright also protects computer software, source code and user interfaces. In Canada, copyright exists during the lifetime of the author and for 50 years following the author’s death. In the United States, the copyright in a work of authorship lasts for the life of the author plus 70 years, or if the author is anonymous or a company, for the longer of 95 years from publication or 120 years from creation. The term cannot be extended or renewed. 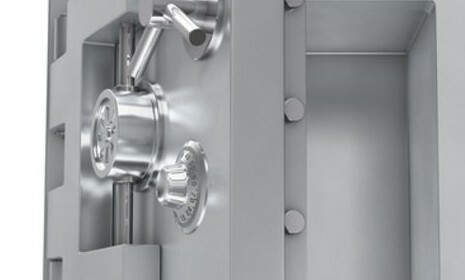 A trade secret protects know how, or any confidential business information which provides a company a competitive edge, and may include sales methods, distribution methods, consumer profiles, advertising strategies, lists of suppliers and clients, technical designs, chemical formulas, and manufacturing processes. Some of the more notable trade secrets include the formula for Coca-Cola, WD-40 lubricant, KFC’s “Secret Recipe Herbs and Spices”. Registration for trade secret protection is not required. Generally, to protect a trade secret, the owner simply needs to make reasonable efforts to keep the information at issue confidential. Therefore, a trade secret protection can be perpetual, so long as the secret is kept a secret. Hopefully this clears up any confusion you may have had about trademarks, copyrights, patents and trade secrets. UPDATE: The title of the above-noted article now been changed to “Yes, you can trademark a cocktail”, following comments by others, however the URL still refers to the original title. Disclaimer: The information in this document is necessarily of a general nature and is given by way of guidance only. Specific legal advice should be sought on any particular matter. Sabeta IP accepts no responsibility whatsoever for any action taken or not taken on the basis of the information contained herein. If you would like to discuss how this information relates to your specific situation, please contact Tony Sabeta at patents(at)sabetaip.com, or visit http://www.sabetaip.com for more information. Tony is a registered patent agent with the Canadian Intellectual Property Office (CIPO) and the United States Patent and Trademark Office (USPTO). He advises startups on intellectual property strategy, including drafting and prosecuting patent applications in the areas of mobile communications, internet technologies, software, machine learning, electro-mechanical systems, and medical devices.